Alright, I have some things going on today but if there's a spot still available towards the end of it I'll make certain to submit a character. I've been keeping an eye on this for a while now, if there is still room I would like to join? Would be nice to get back into bigger roleplays again and I've already been thinking of what kind of character/s I could use. I'm interested in this as well, I saw however some of what you posted and didn't know if you wanted a limited number of people or not? If not I'll gladly get a character made up. I was mostly just waiting and hoping the RP didn't die so quickly, was curious what others would do before bringing the group back up to the light of the surface. Outside of the hustle and bustle of the city would be a different world entirely, part of that world would be a camp of littered dead bodies of what could be considered outlaws maybe. Their bodies cut and skewered by blade and bolt, few even having been able to pull their blades out of the sheaths. The ones behind this massacre of a camp would be a group of at least six of the Unguard species. Each of them search the bodies and tents, gathering up some of the more precious materials and metals in a makeshift pack in the middle of the camp. Most of what they found were trinkets made of metal, some gems here and there, nicer clothing that could be good for trade and what it seems to be considered the current currency. None of them hoarding the gains of this ambush for themselves, making sure to place everything they found together. For the Unguard, this is the way they evenly split the rewards of a good fight between each of them. Of course after some time, one would sound eager and excited. Coming out of a tent with a wrapped up object in their hands. The others quickly making their way over, they didn't need to see what was inside to know what it is. One of them taking the wrapped up, rounder looking object in his hands as he spoke up. "Alright, seems we found what we were looking for this whole time. Now we can return knowing we succeeded in our task..." He would grin under his helmet as the others applauded themselves. But there was little time for celebration, they are still above ground and vulnerable to others that may be nearby. But they also had one last thing they needed to deal with before returning to the underground, motioning to the others to continue their search of the camp with new vigor. Once they were occupied he would sneak a peak under the covers and nods, this was definitely what they were looking for. What the Seers were looking for anyway, it wasn't of their concern to figure out exactly what it is or what it is for. But if they need it, it will be returned. Stashing it away in his own personal pack as the group of them gather around their stash, huffing as he speaks once more. "On second thought, let's do this in the underground where it's safe. Besides we may need it later, Mirak! Stash it in your pack for the time being." The Unguard nodding as he quickly moves forward, quickly filling his pack with the valuables. "Once he is done, we move once more." Looking back at the Unguard as he finishes. With a nod of his head they quickly pull away from the camp and dive under the ground, the dirt filling in the spots once they were deep enough to cover their tracks. Their next mission would be unknown as they make their way to the city, moving unnoticed beneath the surface. I would have posted yesterday, but given the circumstance I found myself in I couldn't but I have the weekend after work is done today, and after dealing with a few important matters, to do whatever. So I can post a starting point for my end later today and really get going. 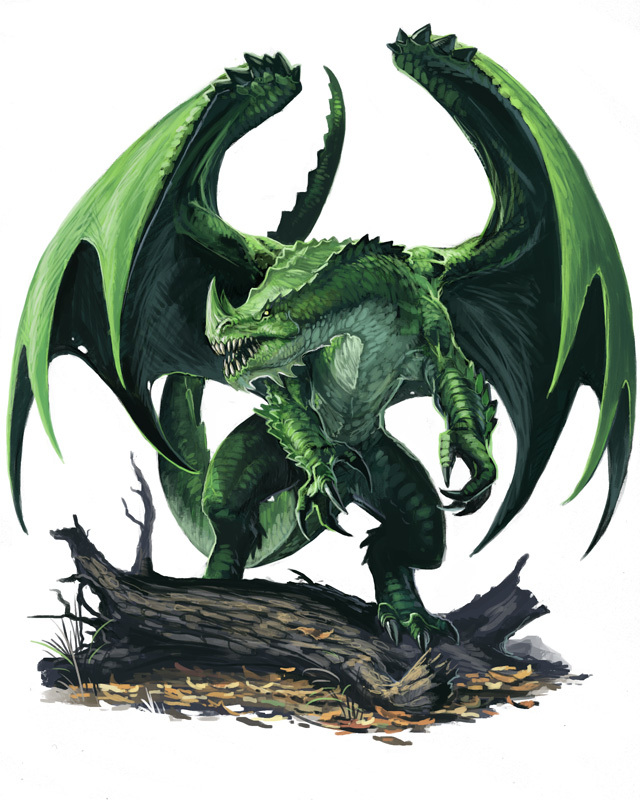 This picture is a close representation of the Xirmir Dragon, excluding the fact that the wings flaps do not connect to the body and allowing fully rotational joints in the socket of the base and mid section of the wings. Also they possess a pair of smaller wings along the sides under the arms, having the look of arms with wing flaps as well. Thus another winged arm for grasping and a defensive shield. Not all Xirmir Dragons are green in color, they possess a wide variety though they are most commonly seen as Grey, Red and Blue colored hides. Xirmir are a unique kind of dragonkin that have developed to a far different approach then any other dragon, if they exist anyway. First off, Xirmir can not breath any form of fire, lightning or such. They do not have that capability nor do they have the organs and such to allow that to happen. Another fact of the matter is they are unable to fly, this is due to their rather bulky and armored bodies. They have developed far, far more durable and toughened scales and hide but as a result they are far too heavy for their rather strong and durable wings to fly. Because of this, instead they have adapted for their wings to be just as durable as the rest of their body. So in this case, it would take a massive amount of effort to physically hurt one of the dragons. Their armor is simply too tough and powerful. These adaptations have led the Xirmir Dragons to be the dominant predators of the past, taking down much stronger and larger foes as they simply could not be hurt. Their top of the food chain was however taken down quickly when the humans and other species they hunted became the hunters, the moment magic actually became something in the world. The Xirmir Dragonkin’s hide had no protection against magic of any degree, it was magic that brought the mass extinction of the species. So to note, magic has a far more damaging capability on the Xirmir Dragon then other species. They have adapted their hide to be near impenetrable to all but the most dedicated firepower and weaponry, but a simple fireball or such would burn the creature to a degree far more so than any other species. They have never been exposed to magic, so they never adapted to fight it. They do not have a form of religion in the past yet they were intelligent enough to form clans amongst each other. So they are not mindless monsters, but more primitive in their mindset. Biography: Sledge was the generation that would have been the last generation of Xirmir Dragons, born into a time when magic was found out and abused to take out a threat to many others on the world. During this time he had to be careful, avoiding most groups that were noted to kill others of his kin. Living this kind of life till eventually his luck ran out, ambushed, along with a few of his kin, and beaten down to near submission. The few were dead, outside of his knowledge he was the last of his kin. Ready to go down in a blaze of glory at least until something miraculous happened, the ambush team turned into the ambushed. A scout party of Unguard charged out of the depths, turning blade against this foe with extreme prejudice. The mages wouldn’t have survived, but the Unguard were dreadfully outnumbered. Until a very enraged Xirmir charged the fight down. Given the group had no magical capability against the dragon, they were utterly and quickly demolished. Their bodies left for the buzzards. Seeing the power the creature had, having no quarrel with either species and the support they were given, the Unguard quickly took the Dragon with them. Hiding the creature from those that would seek to harm it. After many years of hiding, Sledge had recovered and ready for whatever lies ahead. Yet he never abandoned the Unguard, instead making his place amongst the species. A rare bond as the Unguard do not take kindly to outsiders in their territory, a bond made under unity against a common foe. Melee weapons: None, his wings, fists and teeth are his weapons. He does not wield any weaponry, if he was to take anything into battle it would be a suit of armor to at least protect him somewhat against any magical foes. Sledge relies on his brute strength and thundering presence in any and all fights. Skills/Abilities: His kin could be considered by Modern times as charging tanks of war, their bulk size could toss aside much on the battlefield in a charge unless it was twice their size or more. But even then it would feel like someone took a hammer and slammed it against you. Utilizing their wings as a mobile protective shield for others as they also have the durability that his body possesses. He may not breath fire, but when he charges you down on the battlefield you better hope something gets in his way before he reaches you. 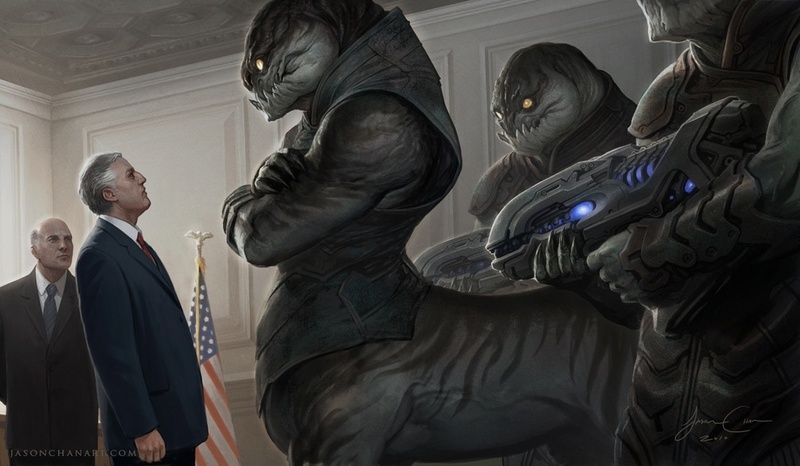 The species on the right is the visual look of the Unguard. Their species are four legged and two armed, lizard like in form and the tail to add to the mix. Due also note that the Unguard species front legs of the two pairs have a pivotal joint in the wrist and has a very hand like look and aspect while retaining the foot’s purpose. This joint allows the Unguard a second pair of hands when they stand on their hind legs, though doing this restricts their movement severely. Given this aspect and a pair of crossbows or blades/shields makes them very deadly stationary ‘bastion’ warriors and capable marksmen. The Unguard are a very capable and rather aggressive species that have survived and thrived against the many forces of the world, they do not take kindly to others of other species unless given time or having a somewhat capable relationship of any form with one of their kin. They have taken to surviving the underground of the world, forming entire labyrinths and even thriving colonies that continue to expand. Slowly but surely. Due to their underground nature they have developed their sight as such to be accustomed to the darkness and because of this their sight above ground is lesser than other species. But do not be fooled, they still see to some regard in the light. But they mostly keep to themselves thankfully, tending to their own and working the underground to their benefit. Using the many valuable materials and metals to fashion weapons and armor to structure and valuables. Do not fret, they aren’t advancing faster than those on the planet. They are staying a step ahead of the crowd however, they don’t want to be viewed as weak and will advance or build up to match a force that picks a fight with them. Quick to anger and tough in a fight, an Unguard would be a valuable ally or a nasty enemy. It’s not only their strength that is valued, their species have developed in such a way as to be able to shift the ground around them. Allowing their individual species to tunnel underneath the crust of the planet, be it through magic or adaptation is only for those giving their opinions and thoughts. Unlike other beings with their gods and deities, the Unguard do not have a central point of religion. In fact they have no ideals of religion at all. Instead they have adopted the notion of the “Central Wayline”. Not knowing what this is until later on, the Unguard have built their main settlement on a very potent source of this power and fortified the settlement against anyone who would dare try and trespass on the sacred land. In reality, the Unguard have a sense that others may not even be able to have. They sensed a power behind something others would think has nothing special about it nor does it even have an appearance, yet this strange piece to the world has driven the Unguard onwards. Utilizing the power behind it to allow them to catch a glimpse of the possible fate of each and everyone of them, yet never truly defined as it was only a fragment of what could be. 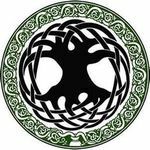 Yet this could be utilized many times, thus making a dangerous tool, so the Unguard have given this responsibility to those known now as the Thirteen Seers. Their guidance, and capabilities with the Wayline behind them, has brought the Unguard to be a stronger faction then they used to be. Yet if this power will lead the Unguard to forgiveness for being pushed to live underground by the upper worlders or revenge on the descendants of them are yet to be seen. But the Unguard watch and bide their time, patient to see what fate the Wayline has in store for them. Appearance: See above in Lore. Though his physical appearance is altered due to a single scar along the left of his neck. But other then that he isn’t any different then most other Unguard. Biography: Vendro is one of a small number of the Unguard, part of a Upper World scouting party. These groups were made to gather materials unavailable underground and, while also grudgingly, trade with other Upper Worlders if the opportunity presents itself. But due to their mistrust and aggression towards most species, it doesn’t end up like that easily. Raised as a Scout till his young adult years, about 60 years old(In human years that is a rough 17-18 years old). Once he reached the age he was quickly assigned a group that also quickly rose to be one of the best. Being the resourceful and smartest of the group, he himself rose to be the leader of the party to his great honor. He showed great promise and potential, till one day it was discovered that he possessed the capabilities of magic. He was shunned by many after the discovery, his scout party leadership stripped away and taken away from that lifestyle completely as most are not used to others of their kin having this strange power. Those accusations would cease once the Seers found out, stating he was one of the rare of their kin that had someone special that other leaders and powerful Unguard figures could only dream of. Unfortunately, like the few others found, they could not teach him how to use his powers. Their reason unknown, but stated that he was to find another to teach him. To learn the ways of this powerful magic around him. With that he was brought back into the scout party and given his leadership back by a team of very happy “Brothers and Sisters of the Pack”. To this day they still make efforts above world, but he seeks answers to his powers and is willing to go to great lengths to find out. Melee Weapons: Unlike other Unguard Warriors, he is part of a scouting/trade party. As such he is armed lightly but not minimally to any extent. He carries instead two twin headed spears for his stationary stance but for added security he packs a pair of sword blades on him at all times. Firearms: He also carries a pair of crossbows along with the needed satchels to carry the bolts. Each tipped with finely crafted, rigged heads. Designed to not only hurt their target, but to make them bleed as well. Also note, each crossbow has a blade stuck into it just in case of close range combat. The Unguard make sure they are prepared for a fight. Tunnelling capabilities: Whether through magic or their own hides, they are able to easily move through the ground on their own. Popping out of the easy to move soil wherever they please, catching most parties unaware until the Unguard are right on top of them. Semi-Under Vision: When out in the bright light, it hurts the Unguard species sight. They can not stray above ground without special equipment, but such equipment is hard to obtain as the materials to make them are somewhat scarce till later on. Unguard parties that are seen on the surface mostly grew up near the surface underground to allow them to develop a semi-sight between the darkness and light. Like Humans, this sight works in both regards. But unlike Humans, they still see much better in the darkness but not as much as their kin who lived completely underground. Scout groups still see in the light, but it is more along the lines of black and white. Unable to see the colors until underground. Also they can’t see past a certain distance, a good couple hundred yards to the max. So one could easily catch an Unguard off guard with a well shot arrow and they will not know where the heck it came from. Other: He is a rare gem amongst his kin, most Unguard unable to use the magic available to the world. But he is able to use it to an extent, though he does not know how to control it yet and is unable to use any kind of power unless taught it. But like the rest of his species, he will quickly adapt to the situation presented to him. I got the last one. There, they are both done and I can work on stuff now. It's about time I say. I will do so when I get home. Hard to copy stuff and paste on this phone, that and gotta rush lunch. Sitting in the Police Car and scoffing down lunch before getting back to work. Go ahead, I'll try and be as active as possible. Over the weekend I can keep up big time and better, but currently till the end of the month Tuesday till Thursdays will be a bit tougher for me due to work.